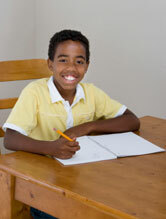 Create a simple allowance system by giving your child tasks to earn money. Use the saving and spending of money to work on math concepts. This includes addition, subtraction, money values and making change.